“I wouldn’t be caught dead wearing that!” – A bold expression that adopts even greater significance when choosing the clothes that will accompany you for eternity. Just like every other aspect of funeral arrangement, the choice of clothes for the deceased is not a choice to be taken lightly. A public memorial was held on July 7th, 2009 for Michael Jackson at the Staples Center in Los Angeles. Michael’s $25,000 solid bronze, 14-karat gold plated lined with blue velvet casket was escorted by his brothers, each wearing a single sequined white glove in tribute to the King of Pop. Inside the casket lay Michael in full makeup, wearing an outfit inspired by the costumes Michael Jackson wore during his career. Jackson’s longtime stylist Dennis Tompkins designed a crown which was placed on top of the casket and during the ceremony, music and video montages traced his life from the beginning of his career to the end. 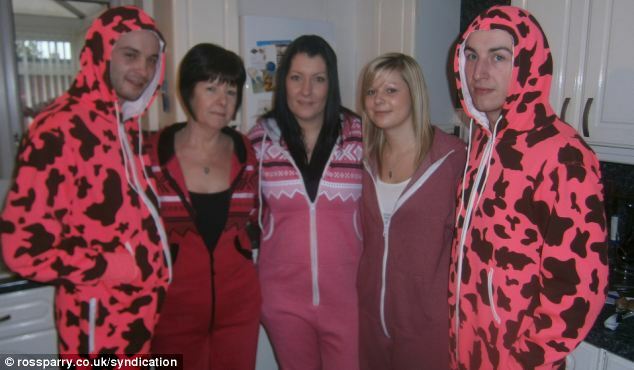 20-year-old Jamie Lawrence loved onesies that much he would wear them down at his local pub and to go shopping. So when Jamie died suddenly in 2013, it seemed only right that he would be buried wearing his favourite blue romper suit. In a touching farewell to the former squaddie, more than 500 friends and family members wore one-pieces to his funeral. Jamie’s sister spent over £450 on onesies to ensure everyone could pay tribute to Jamie exactly the way he would have wanted. When 23-year-old super featherweight Christopher Rivera Amaro was shot dead in 2014, his family wanted people to remember him for his boxing career. Mourners who came to his wake found him a foot wearing a yellow hood on his head, sunglasses over his eyes and blue boxing gloves on his hands at a makeshift ring. Family posed with the body for photographs as a tribute to the boxing champ. In 2012, a grief-stricken boyfriend married his deceased girlfriend in a funeral and wedding ceremony. The couple had planned to get married in the future, but Chadil Deffy wanted to focus on his studies before tying the knot. However, his girlfriend died in an unexpected accident before a date could be set. Chadil Deffy wore a top hat and tuxedo as he slid the wedding ring onto ‘bride’ Ann Kamsuk’s finger at the ceremony in Thailand. Chadil filmed the service and shared their wedding snaps on his Facebook page. The video footage quickly went viral with over 50,000 ‘shares’ over the internet. Bela Lugosi was one of the most famous actors of the 1930s, with his portrayal of Count Dracula being one of the greatest of all time. When Lugosi passed away in 1956, his widow and son made the decision to dress his corpse the light-weight cape that he used for personal appearances – since Bela wanted his son to have the original cape. When you’re no longer around to choose what you’re wearing, can you rely on your loved ones to choose the right outfit for your eternity? Call Damsons Future Planning on 0800 088 4670 to start arranging your prepaid funeral today!